The Best Iceland Travel blogs from thousands of top Iceland Travel blogs in our index using search and social metrics. Data will be refreshed once a week. Iceland Travel newsletter is a comprehensive summary of the day's most important blog posts and news articles from the best Iceland Travel websites on the web, and delivered to your email inbox each morning. To subscribe, simply provide us with your email address. Reykjavík, Iceland About Blog I heart Reykjavík is a one person travel blog dedicated to helping you realize Reykjavík and Iceland are awsome. The blog has inspired me to explore more of Iceland and of course I want to share my findings with you all. My mission is helping people reallize that Reykjavík is awesome! Blog by Audur. Facebook fans 27,594. Twitter followers 15,888. Reykjavík About Blog A blog about traveling in Iceland. All the information and advice you need for an inspirational visit to Iceland. Find the best places to visit in Iceland with our Guide. Facebook fans 5,662. Twitter followers 2,685. Mountain View, CA About Blog Comprehensive up-to-date coverage for iceland travel, aggregated from news sources all over the world by Google News. Facebook fans 21,853,290. Twitter followers 212,808. About Blog Bite of Iceland is a travel blog about Iceland. Bite into Iceland with us! blog by Adam & Marta. Facebook fans 34,939. Twitter followers 1. Iceland About Blog Plan your vacation in Reykjavik and beyond. Take a Crash Course in Iceland before your trip. Guides to places, seriously funny facts, language tips and so much more. Facebook fans 1,318. Twitter followers 2,608. Reykjavik, Iceland About Blog Stuck in Iceland is the leading travel advice site focusing on things to do and places to see in Iceland. It is a platform for people to share their Icelandic adventures. Its focus is on publishing photos, videos and articles from ourselves and the many people that have been to Iceland and are keen on sharing their adventures. Facebook fans 1,738. Twitter followers 3,502. North Iceland About Blog North Iceland is an expansive, enchanting region, where you can find all of Iceland's attractive aspects. Get North Iceland top 10 destination according to Lonely Planet, travel, nature, vacation, volcano, hotel, northern lights, whale watching, dettifoss. Facebook fans 13,284. Twitter followers 3,950. About Blog Traveling to Iceland? Check out these articles for travel tips and inspiration for your trip to Iceland. The Blonde Abroad is an award-winning solo female travel & lifestyle blog featuring travel tips, fashion, festivals and photography from around the world. Facebook fans 100,324. Twitter followers 24,257. The Nordic Region About Blog Nordic Visitor is an Icelandic travel agency with a focus on custom-made tours in the Nordic countries and Scotland. Here we feature highlights of our destinations and adventures of our travellers and staff. Facebook fans 29,242. Twitter followers 1,589. Reykjavik, Iceland About Blog Iceland travel blog helping you plan your dream trip and find the best places in Iceland! Facebook fans 476. Twitter followers 365. London, United Kingdom About Blog We're a couple on a quest to travel and explore the world's best cultural and nature destinations. Discover all our adventures and find some travel inspiration! Here you will get Articles about Iceland. Facebook fans 3,111. Twitter followers 719. Derby About Blog Rayburn Tours provide superb value Educational Trips, School Ski Trips, Sports and Concert Tours, abroad and in the UK for Schools, Youth & Music Groups! Read Iceland blog post here. Facebook fans 555. Twitter followers 737. Facebook fans 1,500. Twitter followers n/a. Iceland About Blog Iceland Mini Campers is a small company and eager to please. We offer personal services suited to your needs. Facebook fans 4,643. Twitter followers 111. Esher, Surrey, UK About Blog Iceland Traveller is an independent travel company based in the UK, we are Iceland specialists. I’ve developed resources for teaching Geography, I can recommend the places I have been to and visited and have used my experience and that of my Icelandic partners to create successful adventures trips and tours. Blog by Julia Jones. Facebook fans 322. Twitter followers 1,852. East Iceland About Blog Come as a stranger - leave as a friend. We offer all sorts of great tours and activities in East Iceland. Take a look. Meet the Locals is owned by Tanni Travel which is a Travel Agency in East Iceland. We introduce our visitors to our habits, history and culture. Facebook fans 1,316. Twitter followers 142. Iceland About Blog Saga Travel is an Icelandic tour operator is built by people with passion for Iceland and travel. We believe that life should be an adventure, driven by the desire for knowledge and new experiences. All our tour guides are highly qualified and experienced local professionals, who know the land like the back of their hand and are storytellers at heart. Facebook fans 14,296. Twitter followers 509. 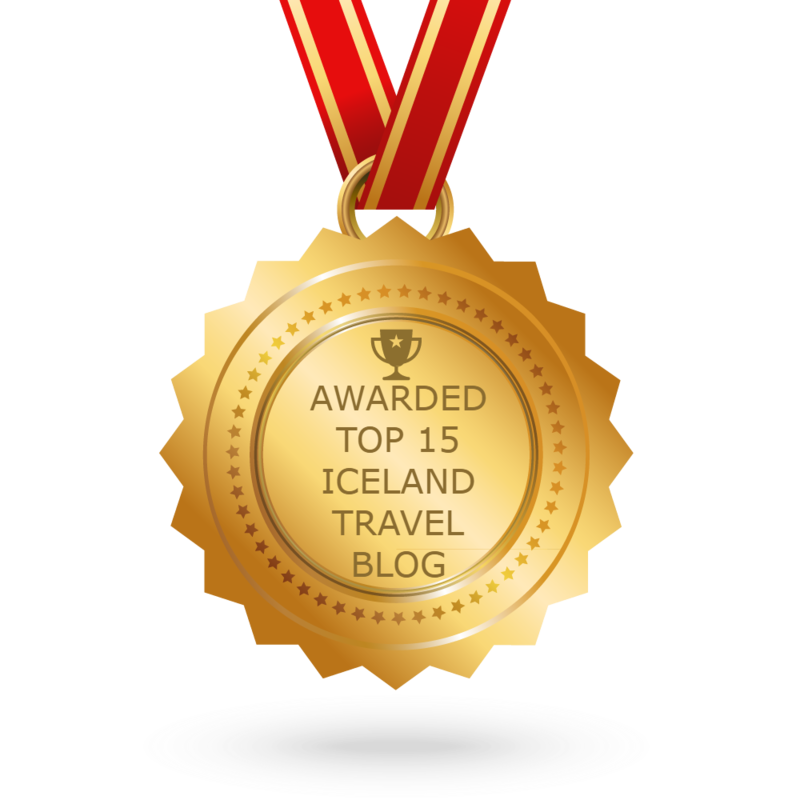 CONGRATULATIONS to every blogger that has made this Top Iceland Travel Blogs list! This is the most comprehensive list of best Iceland Travel blogs on the internet and I’m honoured to have you as part of this! I personally give you a high-five and want to thank you for your contribution to this world.